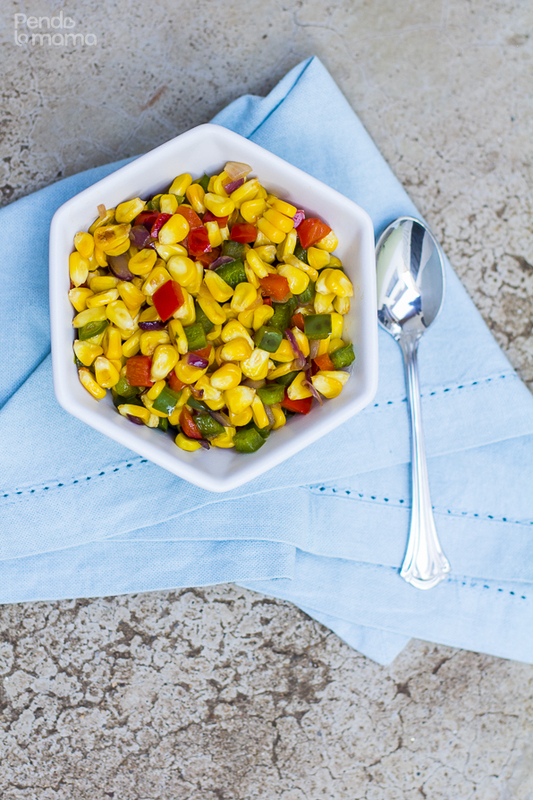 I buy sweetcorn every time I do my grocery shopping when they’re in season. They make an awesome snack, especially when all you have to do is boil. They go quick in my house. 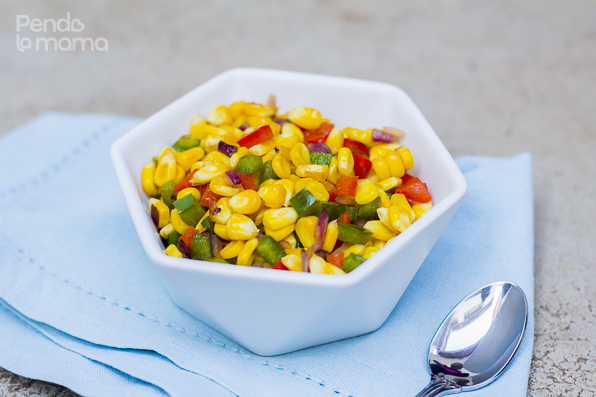 I’ve used sweetcorn in salad before and in this other dish but it was not the main ingredient. 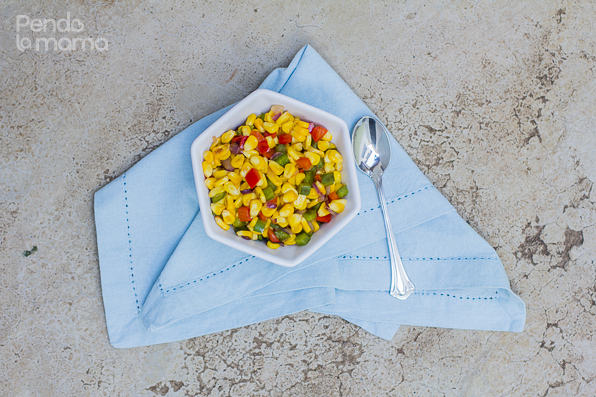 I was out with family having brunch at a local hotel one morning and one of the items in their brunch buffet was sweetcorn, lightly speckled with little bits of red pepper for garnish. 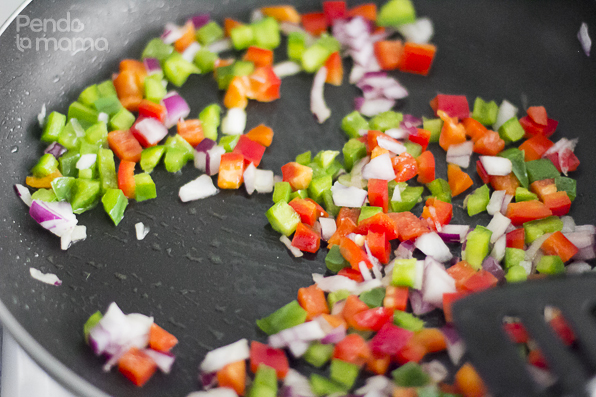 When I saw it I thought it would make a nice little colourful salad with more pepper. And that’s how this little salad began. If you are a fan of the sweet peppers then you will love this. It is very simple to make too. These photos show how to make the warm version of the salad, I explain how to do the cold version at the end (no photos though). 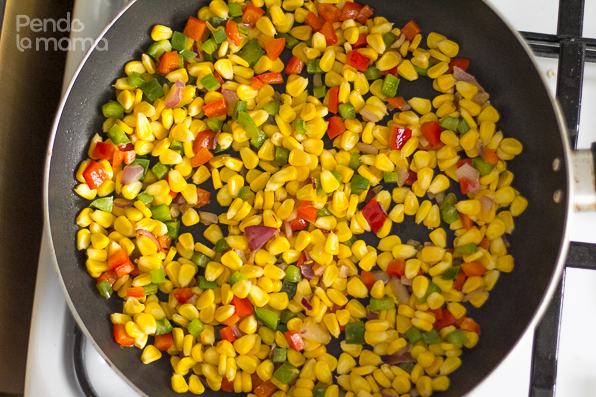 So first, boil the corn and lightly season with salt. 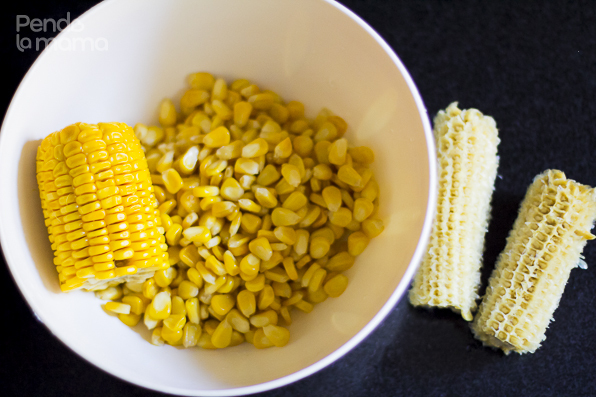 Once done, set aside to cool, then use a knife to nudge the corn out of the cob. 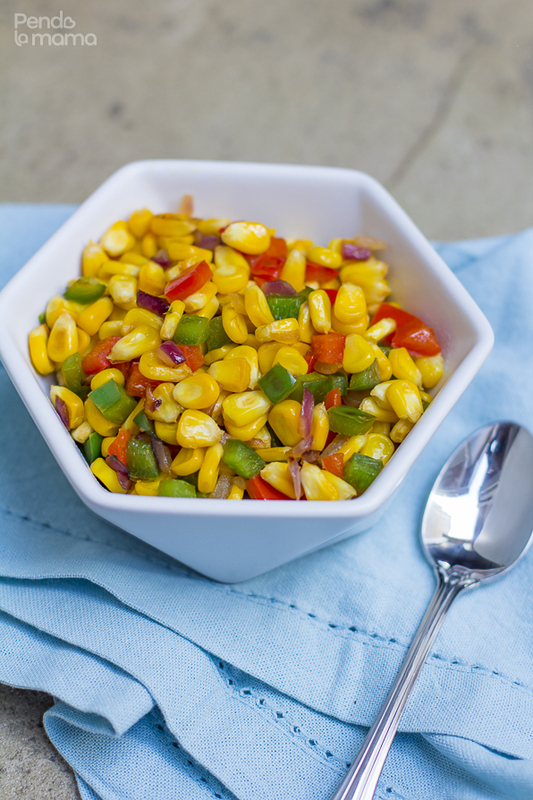 Don’t allow the peppers to get soggy, add the sweetcorn within a minute or two and stir. 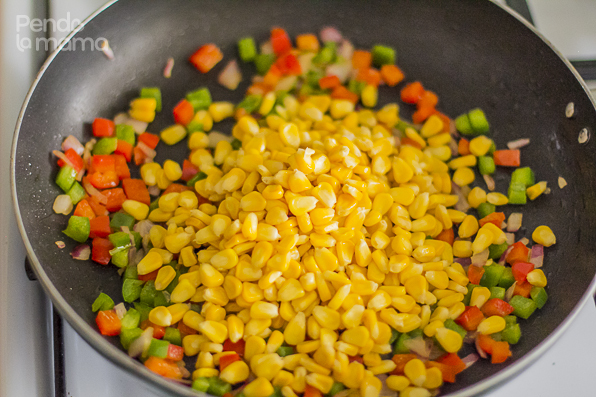 Once the sweetcorn warms up leave it in there for another minute, then serve immediately. How pretty are those colours? And very tasty too! I recall there is a book out there called Eat Colour or something like that, I believe this would qualify as a one of the recipes. What say you? Try it this weekend! Enjoy it! When I was done, it occurred to me that this would work great as a cold salad too. 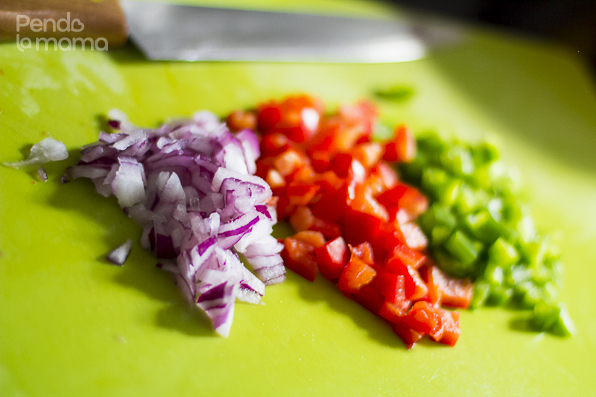 So here is what you do to make the cold version: Prepare all the ingredients as above, but instead of the frying, put the chopped onions in some warm salty water for 3 minutes. Then drain them and mix with with the other ingredients in a large bowl. Add a light dressing of your choosing, just a little bit, and toss. Let me know how you like them in the comments below!